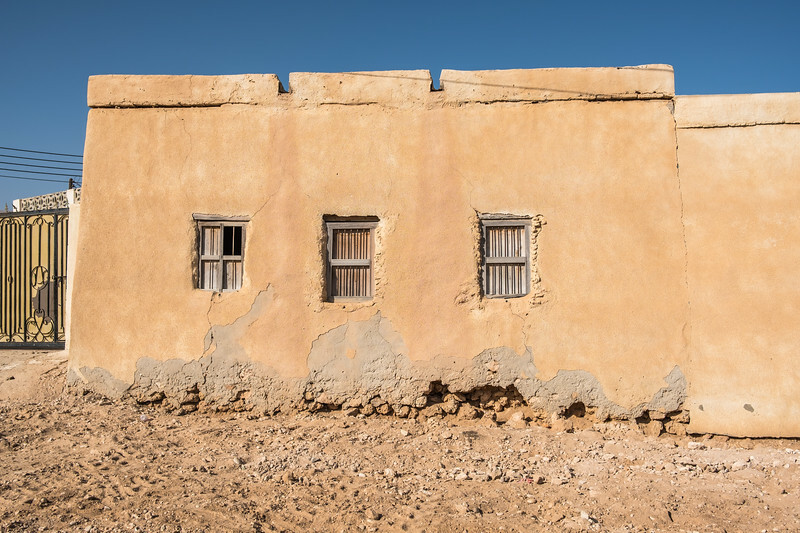 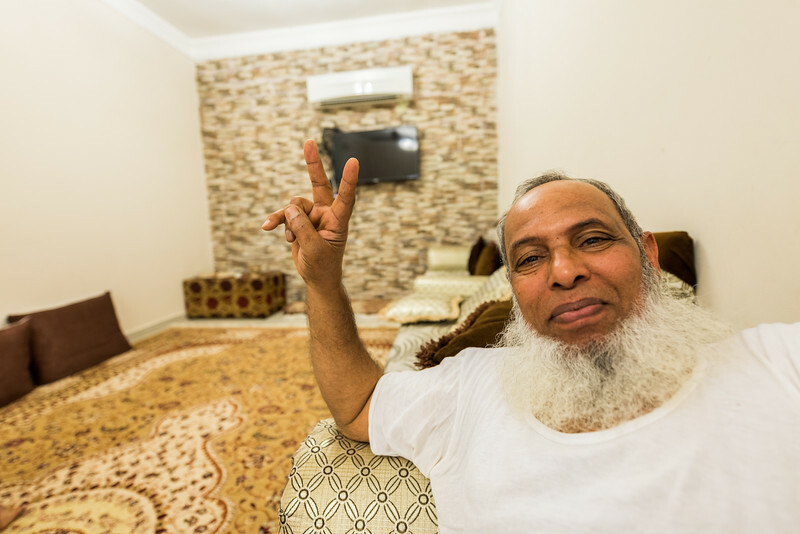 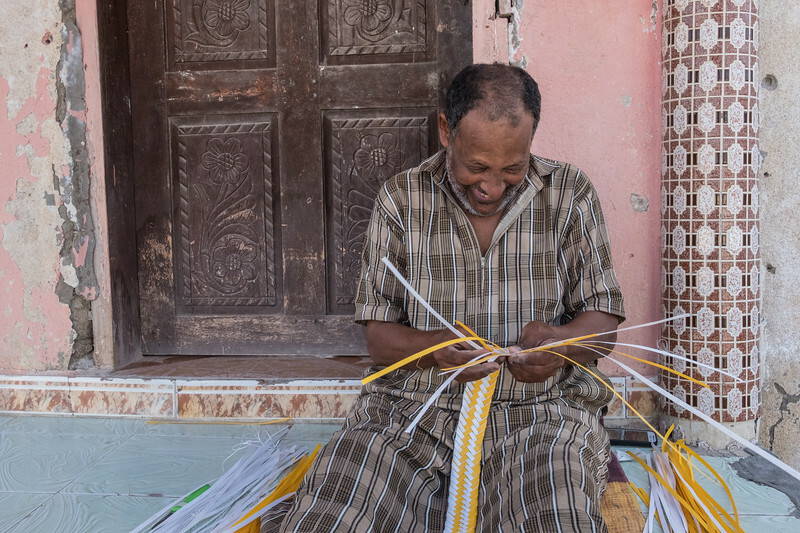 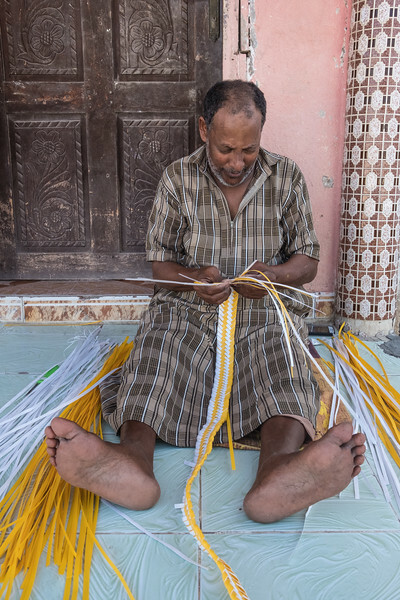 Windows with bars in the simple exterior adobe wall of a basic dwelling in a Middle Eastern village. 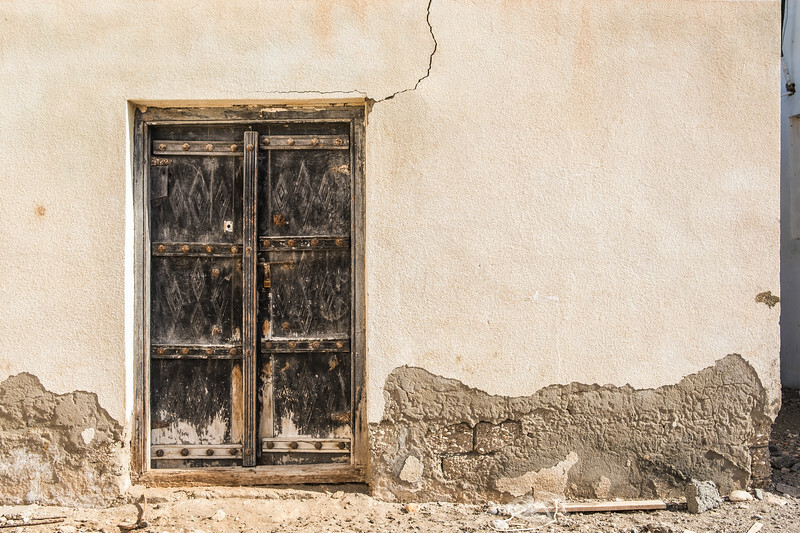 An old faded traditional Arabian carved wooden door in the cracked weathered wall of a simple house. 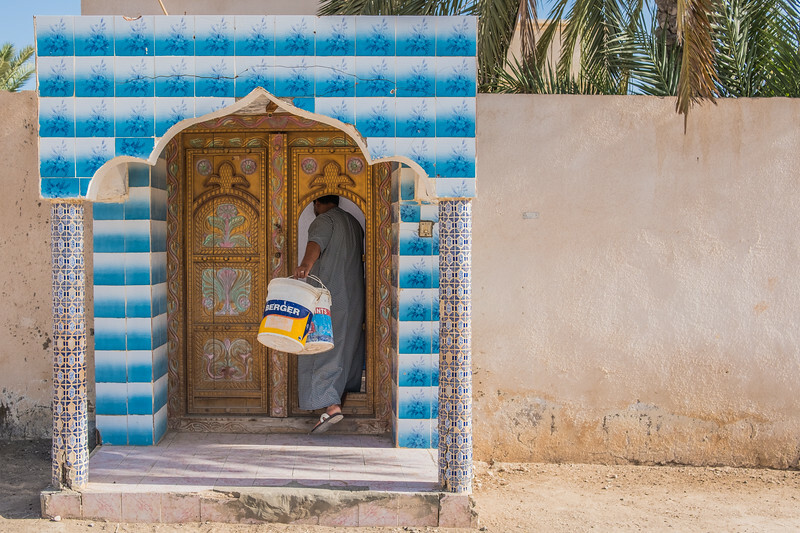 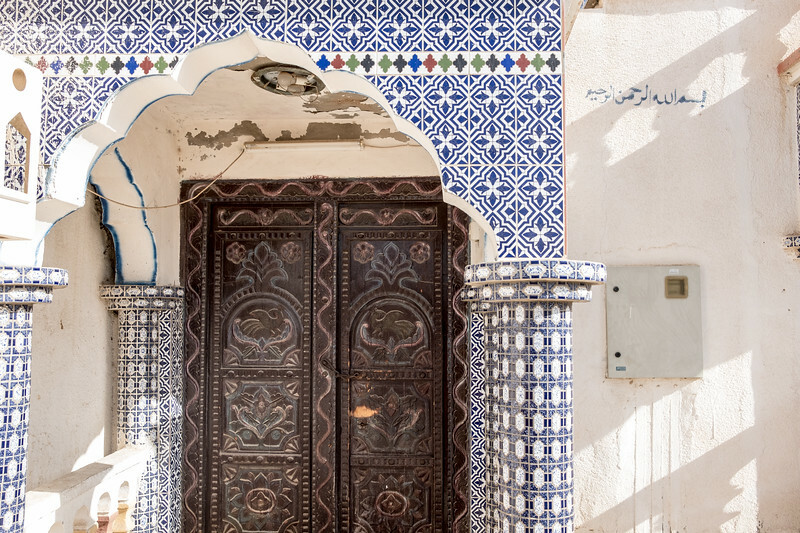 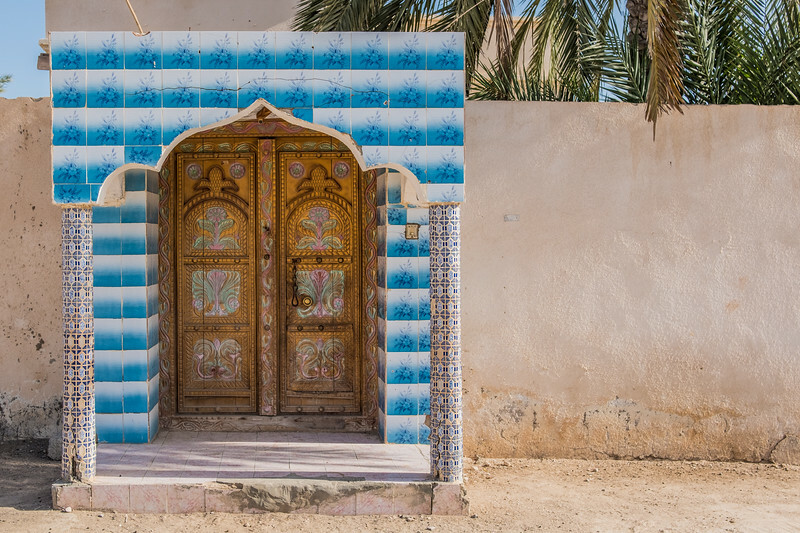 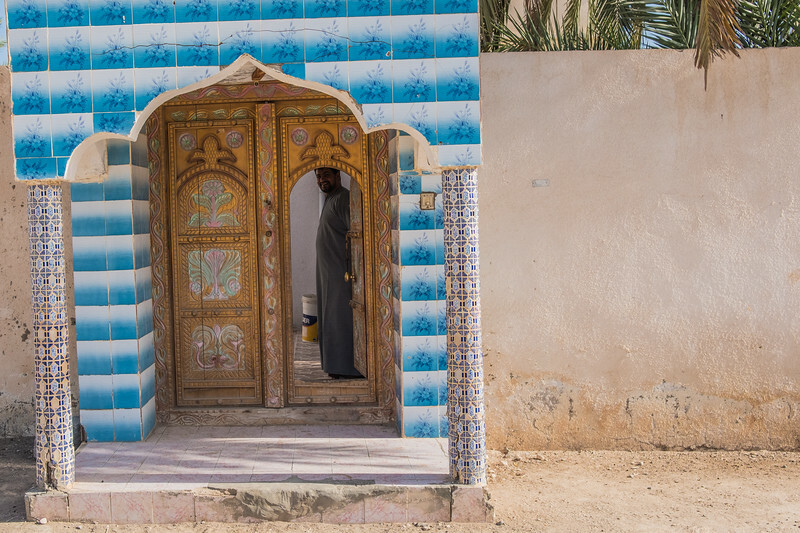 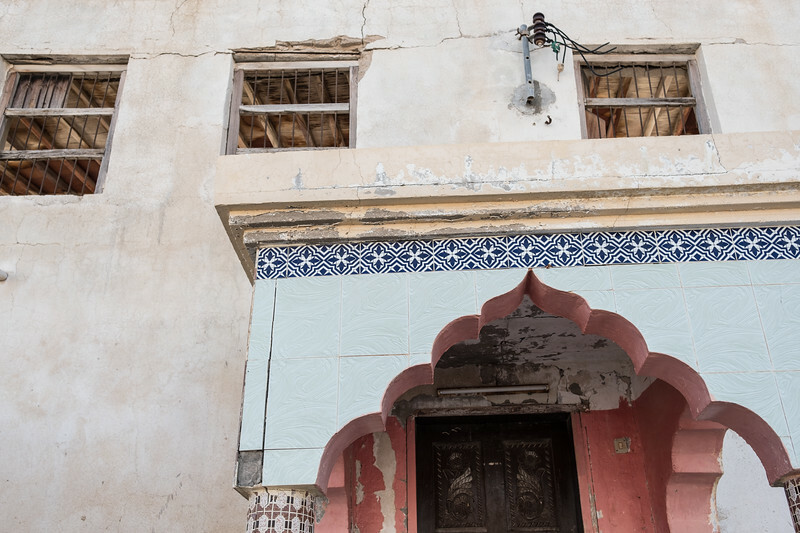 An elaborate entrance porch to an Arabian house with tiled porch and pillars and a finely carved wooden door. 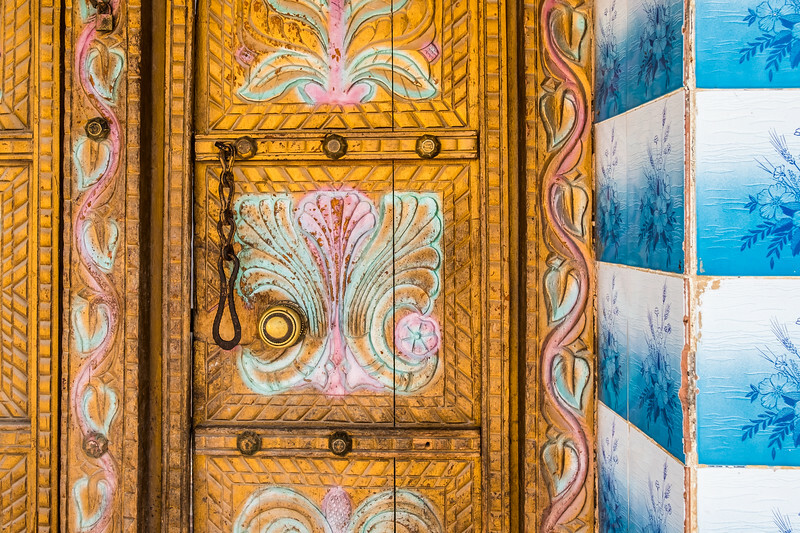 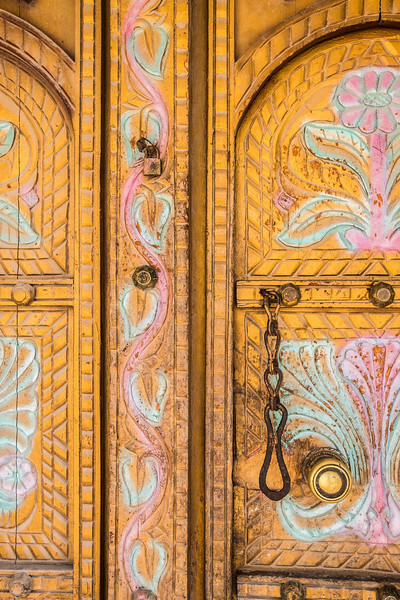 Detail of carvings on a traditional Arabian wooden door with lock and patterned tiles. 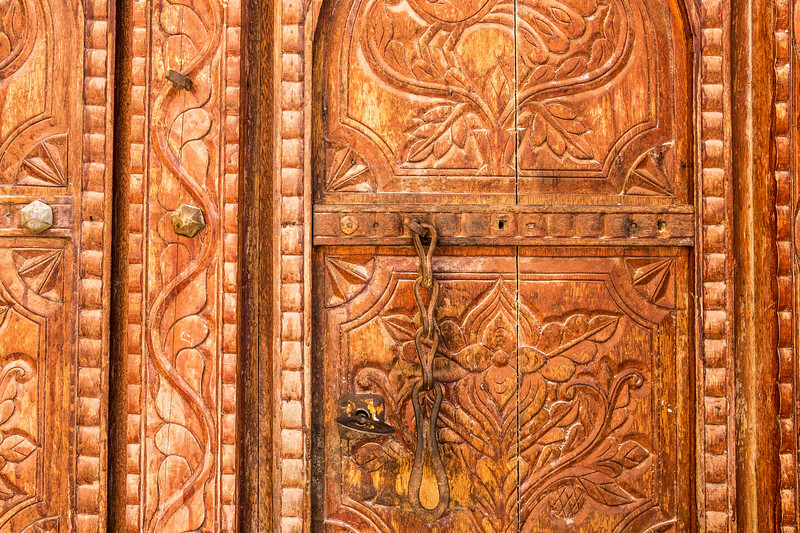 Detail of carvings on a traditional Arabian wooden door with lock. 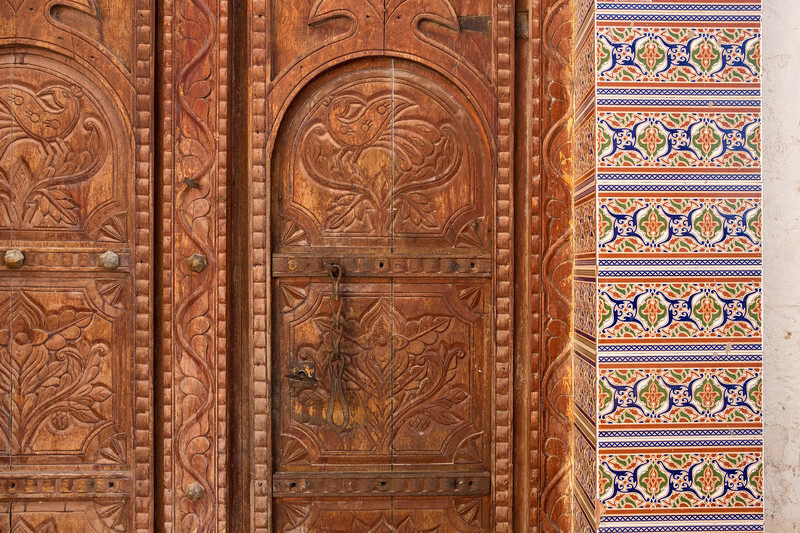 Detail of carvings on a traditional Arabian wooden door with lock and elaborately patterned tiles. 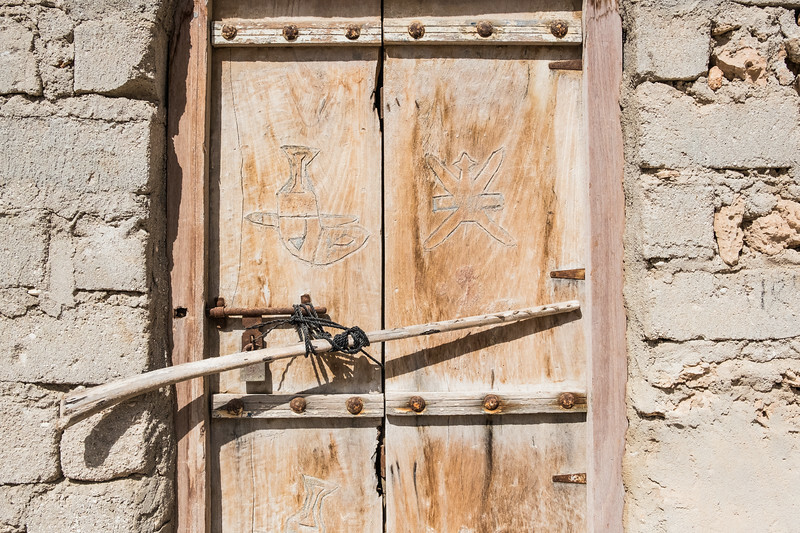 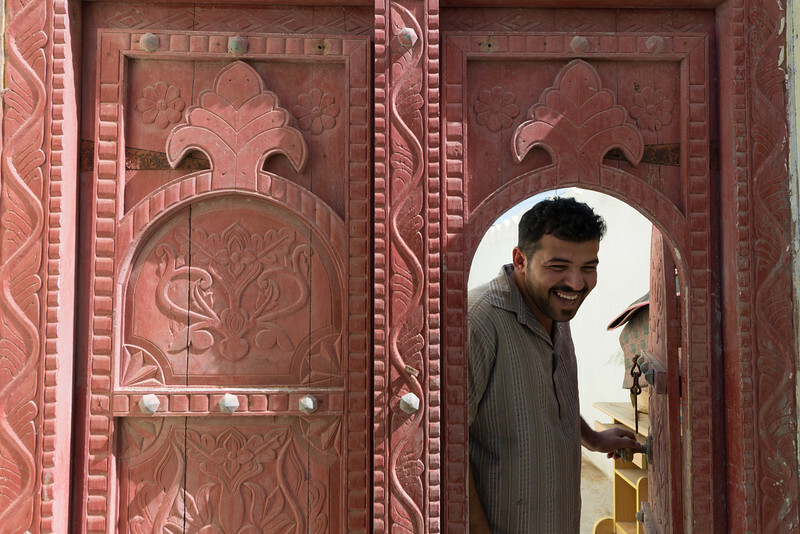 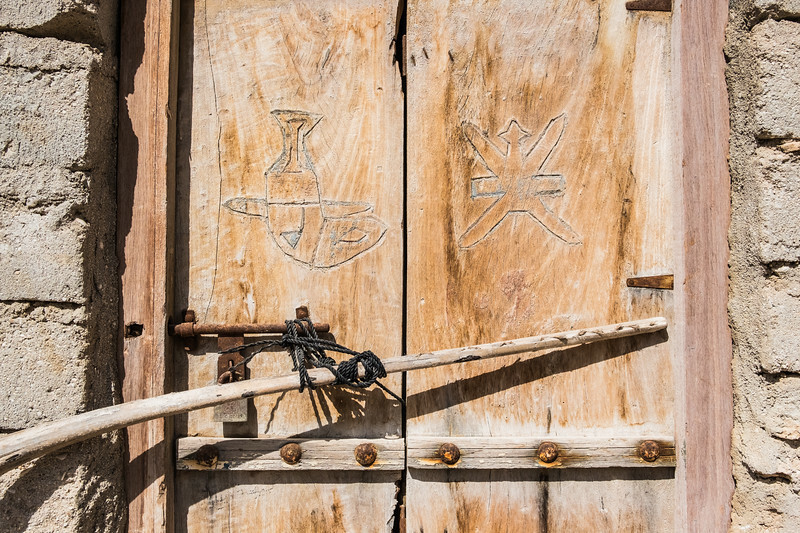 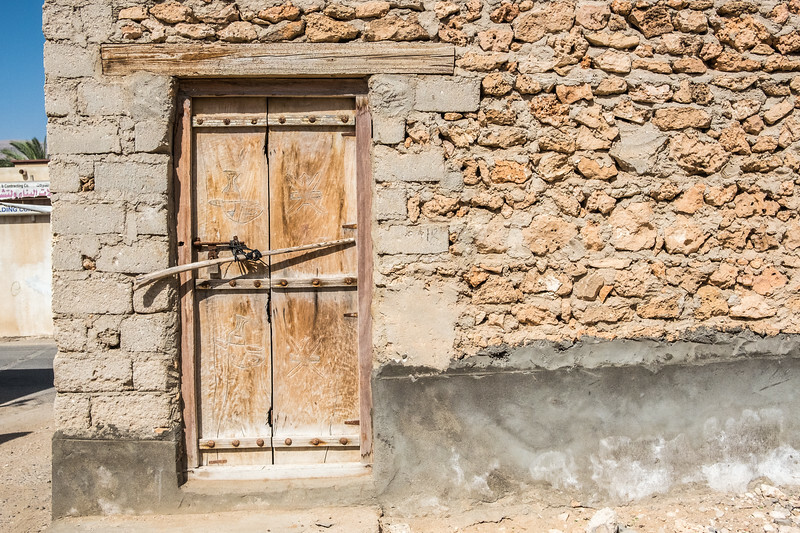 An simple faded wooden door with carvings of the national symbol of Oman in the stone wall of a simple dwelling with wooden lintel. 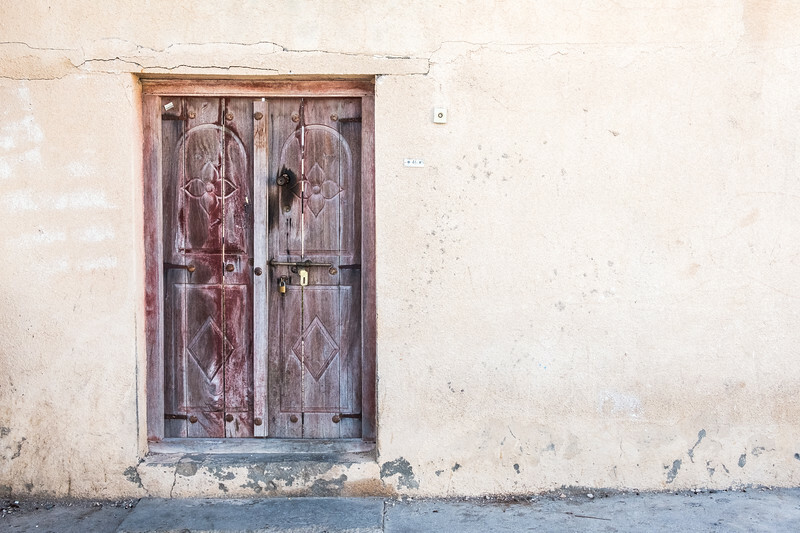 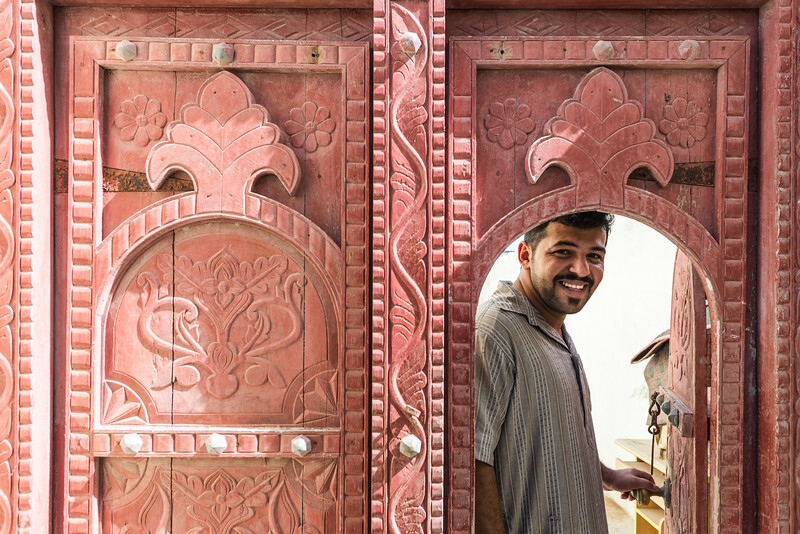 An old faded wooden door with carvings of the national symbol of Oman and rusted padlock.